You never would have guessed from our website, but for those interested, the Spartan colours are navy blue, light blue, white, and a vibrant red! If you are looking to download a copy of our logo or icon in a variety of forms, simply click here to view the download logo page. We also have our very own Spartan Flag, which encompasses the colours of the Leeming Spartan Cricket Club, which is visible below. To learn more about our flags, or to download our flag in its full size, simply click here! This image also represents the simple edition of the Spartan Flag. 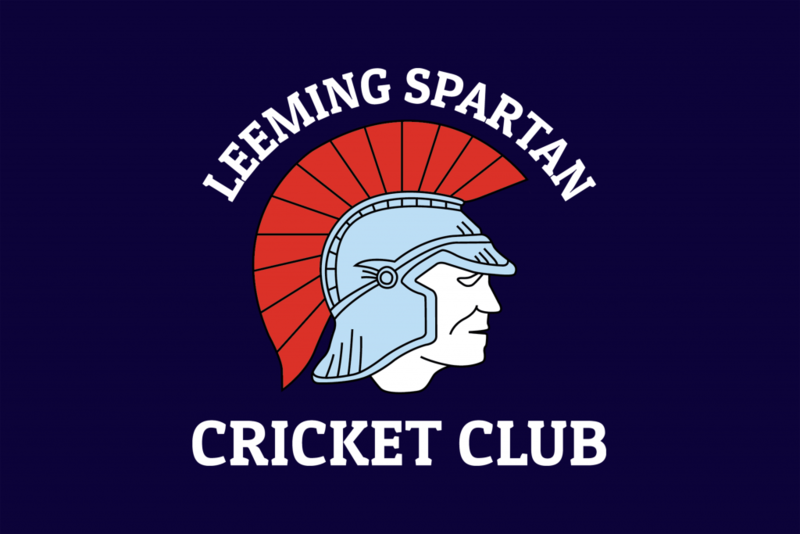 The Leeming Spartan Cricket Club (Inc.) logo and flag are copyrights of the Leeming Spartan Cricket Club (Inc.) (ABN 24 114 629 534) and are not to be used for commercial purposes without express written permission from the Leeming Spartan Cricket Club (Inc.). Any modification of the logo or flag without the express written permission from the Leeming Spartan Cricket Club (Inc.) is strictly prohibited.